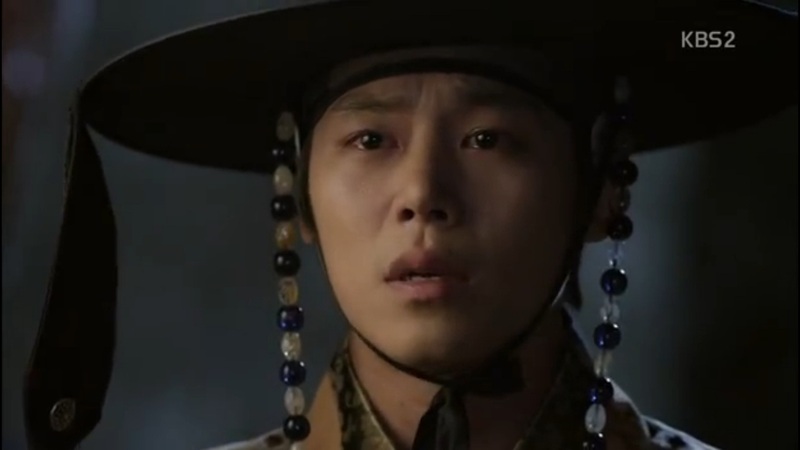 AGHHHHH I still cannot believe that Joseon Gunman ended its run 2 weeks ago!!! The drama originally was only 20-episode drama but their PD extended 2 eps, making it 22-episode drama. The drama that placed #1 from beginning to end, the incredible Joseon Gunman. No need to say anything. Hands down. He’s one of the finest actors in South Korea and always nails his work, and he also did on this one. I watched the drama because of him kkkkk. i think he perfectly portrayed his character. Even his smallest gesture gave such an impact to the scene. I liked how he played with his tone, complementing the whole thing. Probably I’m the only one who thinks she did really good in this drama??? I fell in love with her after watching her in just first 2 episodes. She was great throughout the drama, but yea in some scenes she looked awkward, her tone too but overall she did very good. I liked his presence. Everytime he showed up he just made me want to slap him in the face because he was so evil!!! Hell yeah!! Great camera work, angle and quality in every episode. I liked the costumes too. I seriously loved every inch of it. KBS once again declare that they are the best when it comes to saeguk dramas. Okay, like what I said earlier on this post, the early episodes especially the pilot episode reminded me of The Princess’ Man. It was actually quite identical at certain points. But it started to go to different direction when Lee Jun Ki came back to Joseon to seek revenge with a brand new identity. When on The Princess’ Man Park Shi Ho “came back to life” but he didn’t go to public(? ), purposely hid himself, something like that. I actually think it was so good since most of us got reminded of The Princess’ Man a lot but actually the writer kept this brilliant plot under her/his sleeves, making this drama REALLY DIFFERENT from The Princess’ Man. Then somehow Lee Jun Ki became a fugitive (AGAIN!! After being a fugitive too in Two Weeks). 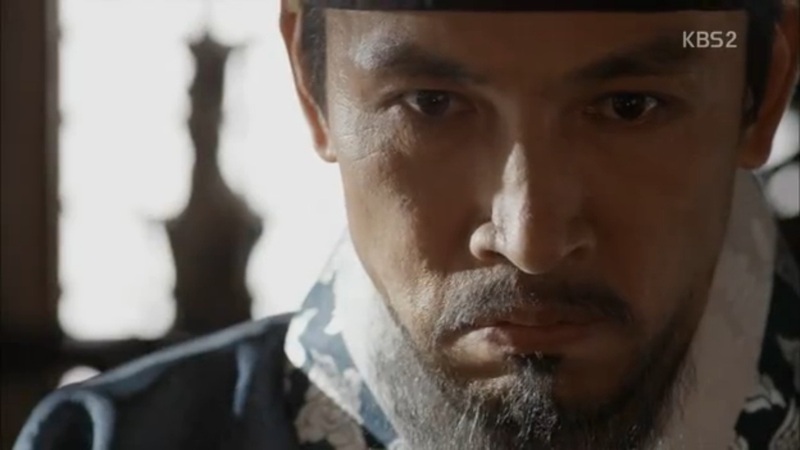 Then he turned his back to the King –which I fully understand why-, how he fought for justice even until the last ep. The transition of the plot was excellent too. How the characters joined the “rebel” for the new Joseon was kind of confusing for me. I still don’t understand how the story ended up like that lol but bc the transition was good so it was not annoying. I hate the King. He was only King by name, he was like a puppet, powerless, couldn’t stand on his own two feet even at the final week they made the Queen did all the things. It’s frustrating watching his role. I liked how they emphasized that the bond between a father and his son wouldn’t that easily be cut off. How Kim Hyo Kyung ran to his father telling him to save himself which meant he betrayed his team. And when he cried his eyes off while holding his dead father’s body is good moral story. That you should put your family on top of everything. I like the ending. The final scene is just breathtaking. Hands down, it’s KBS yall. 2 CDs 24 tracks in total!! From all 15 VA tracks (CD 2) I love track no 2, which is the opening theme [to download click here]. I like track no 5 too, it’s called Salvami l`anima mia [click here to download]. It kinda gives you feeling about the painful love that our OTP had to go through. I like track no. 9 which is 태평가 (太平歌) [click here to download] it’s soothing, for me lol. From CD 1, I like 내 맘을 아나요 which sang by Ivy. Also track no 7 눈물을 닮아 sang by The Ray. I think this song tells the perfect story of what Yoon Kang felt when he was a fugitive, only could see Soo In from far away. Damn revenge! To download all OST including VA click here for CD1 and here for CD2. Will I Watch it Again? Of course!!! Now, i don’t have anything to watch leeeeeh. The dark period of the Wed/Thur dramas has return!!! !